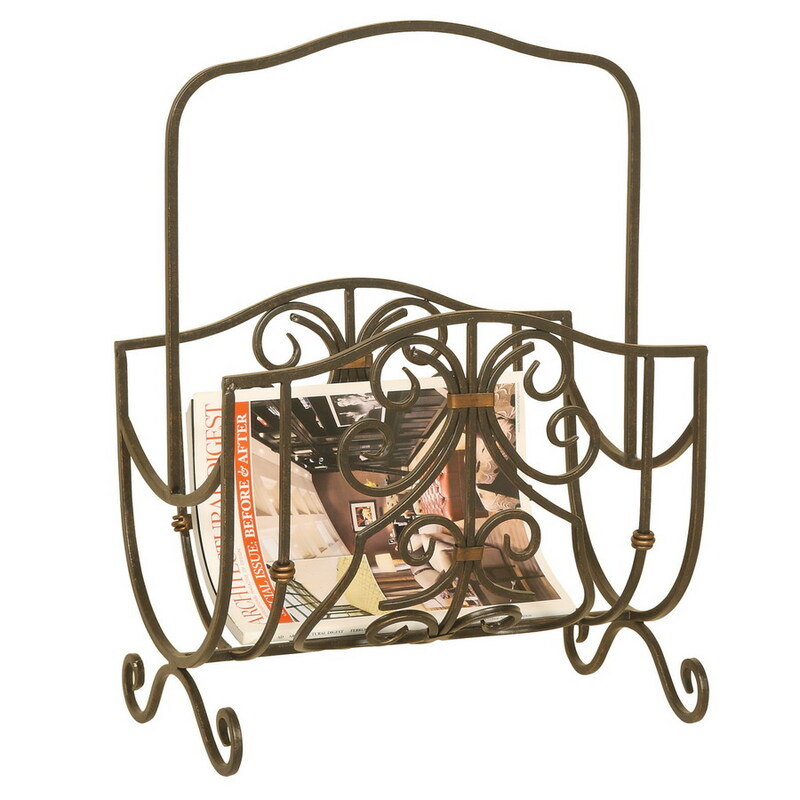 he Scroll-Work Magazine Rack in a beautiful oil bronzed finish has a decorative appearance adding storage and organization to the room while adding a touch of style. 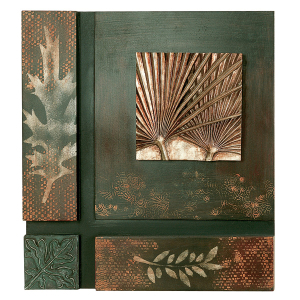 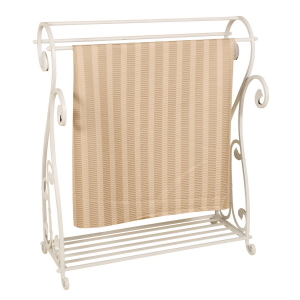 With ample size and an eye-catching design, the Scroll-Work Magazine Rack is the perfect way to keep magazines and newspapers close at hand. 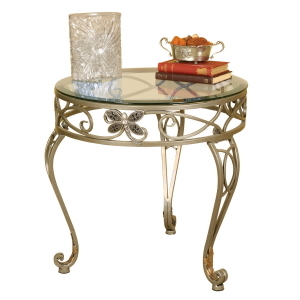 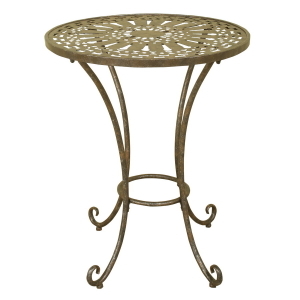 Sturdy metal construction and four scroll work feet give this rack excellent stability.